A pound-for-pound great Daniel Cormier’s teammate Cain Velasquez returned to Octagon after a two-and-a-half-year of inactivity last night (Feb. 17, 2019) in the main headliner of UFC On ESPN 1 from Talking Stick Resort Arena in Phoenix against former UFC title contender Francis Ngannou. Unfortunately, things didn’t go well for Velasquez who suffered a KO loss in just 26 seconds into the first round. It was such a devastating end for Velasquez who considers one of the greatest heavyweight fighters of all time. The 36-year-old Velasquez is whom ‘DC” has long credited with helping him emerging so quickly from an amateur wrestler to an MMA fighter and winning the Strikeforce World Grand Prix heavyweight while training together at American Kickboxing Academy (AKA) in San Jose. To respect that Cormier dropped down to 205-pound class back in 2013 while Cain was still the heavyweight champion to avoid clashing each other. “Every time you see something like that, the emotions tell you, you go get it back, you go make it right,” an emotional Cormier said Sunday night on ESPN’s SportsCenter. “But Francis Ngannou, who didn’t ask for a fight, maybe later he will, and if that’s something we decide we want to do, then that’s what I’ll do. Cain’s shining career plagued by injuries but ‘DC’ said he was healthy leading up to his fight against ‘The Predator’ on Sunday night. In a UFC Phoenix post-fight press conference, Velasquez said knee injury cost him a fight and disputed the notion that an uppercut punch from Ngannou caused the finish. Ngannou (13-3) is riding on a two-fight winning streak after a pair of lackluster performances, didn’t call out anyone but at the post-fight presser ‘Predator’ said he wanted a title fight and hope ‘DC’ would come and avenge his friend’s loss. Cormier’s next fight is not confirmed yet; however, he’s expected to take on WWE star Brock Lesnar next. Currently, ‘DC’ is healing up his injured back but in the wake of Cain’s loss, a UFC heavyweight champion desire’s to fight Ngannou and vows to beat him if this fight presented. 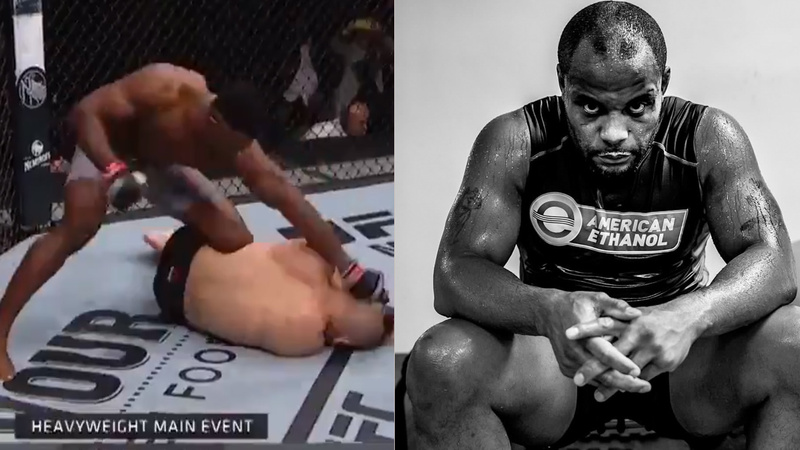 How many of you want to see Cormier take on Ngannou next?